← KOMMONSENTSJANE – A GRANDMA HELPED HER ILLEGAL BOYFRIEND TO VOTE AND NOW IS GOING TO PRISON. Just like Eliz Warren – heap big smoke – no fire. They ride thru the fire and brim stone of life illegally to rise above the crowd to be first in the line of illegals. Both of these gals broke in line because of the noise they are able to make with their lies. We have been trying to verify both of these ladies and found out they are both fake. This entry was posted in Uncategorized and tagged Kommonsentsjane - Ocasio-Cortez says she is native American - kill ICE - go green deal: Pelosi needs her followers.. Bookmark the permalink. 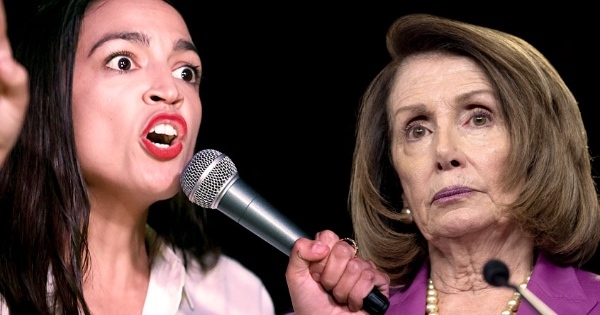 1 Response to KOMMONSENTSJANE – OCASIO-CORTEZ SAYS SHE IS NATIVE AMERICAN, KILL ICE, GO GREEN DEAL: PELOSI NEEDS HER FOLLOWERS. By: Arlin Report/via Burst Updates. Now we need a DNA test on her. She appears to be Puerto Rican or Cuban but I guess that’s not good enough for her. She wants the Native American and Jewish votes. Pathetic. She can’t have them.